What is a Business Valuation Specialist? Business valuation refers to the process of determining the actual value of a business. Business owners work with a business valuation specialist to help them obtain an objective estimate of their company’s value. They require the services of business valuation specialists to determine a business’s fair value, particularly for the sale of a business, partnership ownershipJoint Venture (JV)A joint venture (JV) is a commercial enterprise in which two or more organizations combine their resources to gain a tactical and strategic edge in the market. Companies often enter into a joint venture to pursue specific projects. The JV may be a new project or new core business, estate and succession planningSuccession PlanningSuccession planning refers to the process in which employees are recruited and developed with the aim of filling a key role within an organization. It, and divorce proceedings. As fair value reporting and International Financial Reporting Standards (IFRS)IFRS StandardsIFRS standards are International Financial Reporting Standards (IFRS) that consist of a set of accounting rules that determine how transactions and other accounting events are required to be reported in financial statements. They are designed to maintain credibility and transparency in the financial world become accepted across the globe, the demand for business valuation specialists continues to grow. Business valuation specialists get the opportunity to work with the CEOsCEOA CEO, short for Chief Executive Officer, is the highest-ranking individual in a company or organization. The CEO is responsible for the overall success of an organization and for making top-level managerial decisions. Read a job description and founders of companies across various industries. 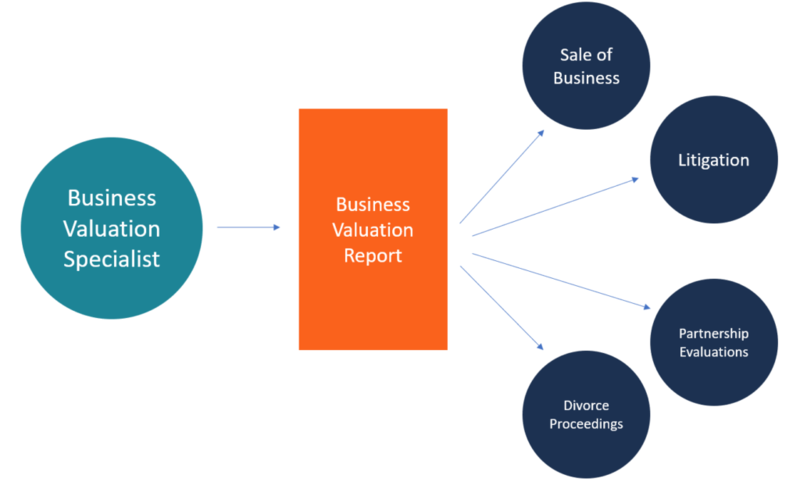 Business valuation entails analyzing the capital structure, future earnings prospects, the market value of assets, and objective analysis of the management of a company. To perform the tasks, a specialist must undergo specialized training to equip them with the necessary skills and to obtain certification from the business valuation accredited organizations. Most programs that offer business valuation accreditation require business valuation training, either through courses offered at the organization, independent studies, or through affiliation with third party trainers. The certification program requires testing, which may be completed online or in a classroom. Once the accrediting organizations are satisfied with the candidate’s level of training, they award the candidate their certification. In some cases, the new members must pay an annual subscription fee to maintain their membership in the organization. The specialists are also required to participate in continuing training programs offered by the accreditation organizations. CFI is the official global provider of the Financial Modeling & Valuation Analyst (FMVA)™FMVA™ CertificationThe Financial Modeling & Valueation Analyst (FMVA)™ accreditation is a global standard for financial analysts that covers finance, accounting, financial modeling, valuation, budgeting, forecasting, presentations, and strategy. certification program, designed to teach professional financial modeling and valuation techniques to aspiring specialists. Founded in 1981, ASA is one of the most recognized programs among business appraisers. It offers two levels of accreditation: the accredited member and the accredited senior appraiser. The accredited member certification is for professionals with two to five years’ experience in business valuation, while the accredited senior appraiser is for appraisers with more than five years’ experience. ASA also requires the professionals to have minimum educational requirements and to demonstrate proficiency in a demonstration report subject to peer review. NACVA, which started in 1991, offers two different programs for business appraisal specialists, i.e., Certified Valuation Analyst and Accredited Valuation Analyst. Both certifications require interested professionals to have a minimum of a business degree or a valid CPA license. It also requires them to provide references that demonstrate their experience in the business valuation industry. Accredited in Business Appraisal Review (ABAR) – The ABAR program aims to provide quality assurance to stakeholders in the business valuation process. ABAR members hold a recognized business valuation credential and have passed evaluations through examinations and a demonstration report subject to peer review. Business Valuator Accredited for Litigation (BVAL) – Holders of the BVAL certification must have a recognized business valuation credential, complete a five-day course, pass an examination and demonstrate competency in a presentation and testimony. Certified Business Appraiser (CBA) – Holders of the CBA certification must meet minimum educational requirements, pass an exam and demonstrate proficiency in two demonstration reports subject to peer review. ISBA offers the Business Certified Appraiser certification program. Holders of this certification go through extensive education and testing and must demonstrate their proficiency in valuation by passing a demonstration report subject to peer review. The salaries and fees that business valuation specialists earn are dependent on a number of factors, such as business size, type of assets being valued, etc. Some small business owners valuing their businesses for sale may quote anywhere from $500 to $1,000, based on assumptions on how much the assets are worth. Valuations that require a great deal of attention may range from $3,500 to $10,000, while those that require outside research and involvement of other professionals may go up to $50,000. When negotiating a business valuation proposal, specialists need to consider the level of effort required, the need for external specialists, the size of the business, and their level of experience. More experienced professionals tend to charge higher fees to compensate for the level of judgment and responsibility that is required in the reports. Business valuation specialists may also decide to work independently or be employed by large firms that require valuation specialists. Most inexperienced valuation specialists prefer to work for the big accounting firms to help them gain exposure in the industry. On the other hand, the more experienced professionals prefer to work as independent valuation specialists and advisors, which allows them to maximize their annual income. The work of a business valuation specialist is to determine the economic value of a business or company. They produce a detailed report that is used in a business sale, litigation matters, divorce proceedings, or in establishing partner ownership. Equity ValueEquity ValueEquity value, commonly referred to as the market value of equity or market capitalization, can be defined as the total value of the company that is attributable to shareholders. To calculate equity value follow the examples and step-by-step instruction in this straightforward guide from CFI.